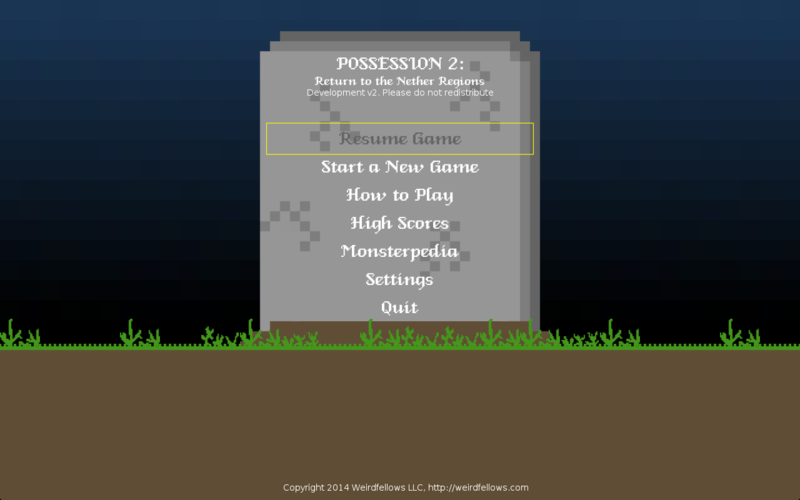 Possession is a roguelike where you play as a ghost escaped from the underworld trying to make its way to the surface. You are incredibly weak, but have one advantage: the ability to possess other monsters. 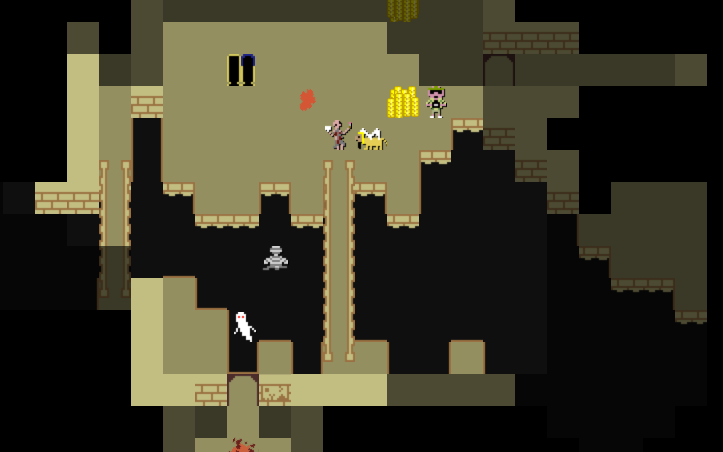 You can also play a very old version of the game, Possession: Escape from the Nether Regions, which was made in just 7 days for the 2013 7-day roguelike challenge. 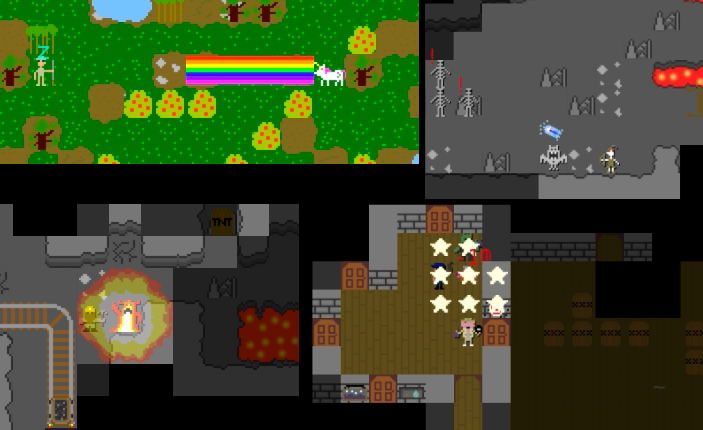 Special themed levels with unique hazards, creatures and layouts. 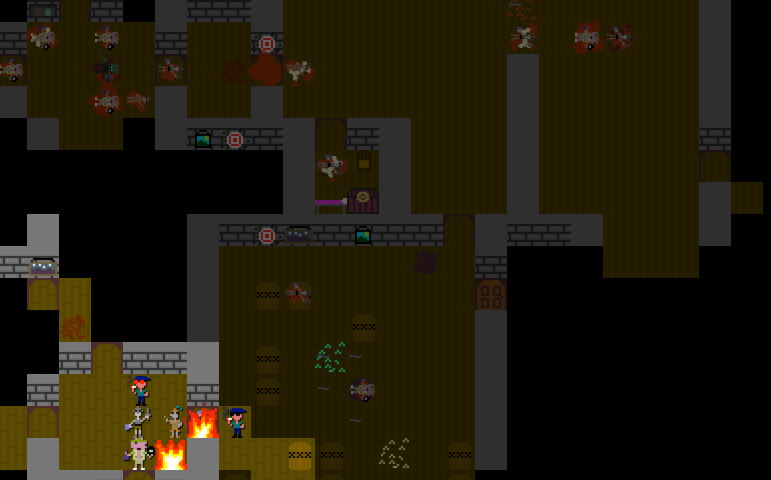 Randomly generated, so each playthrough is different. Quick to pick up and play. 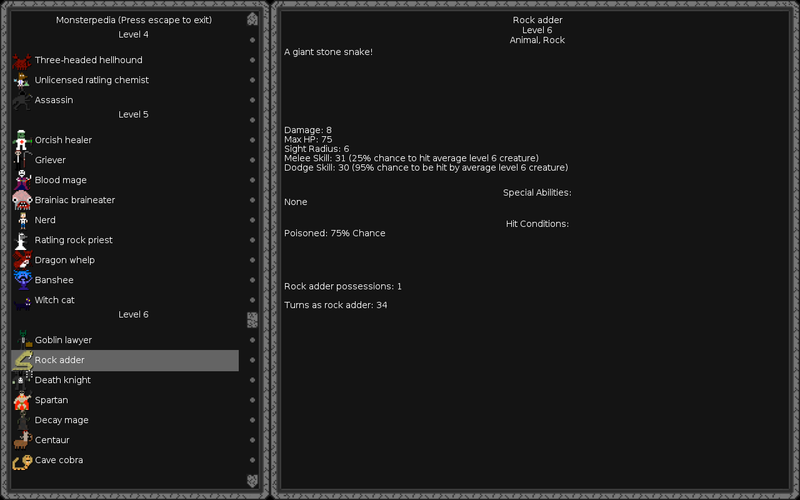 Huge variety of possessable creatures and special abilities. 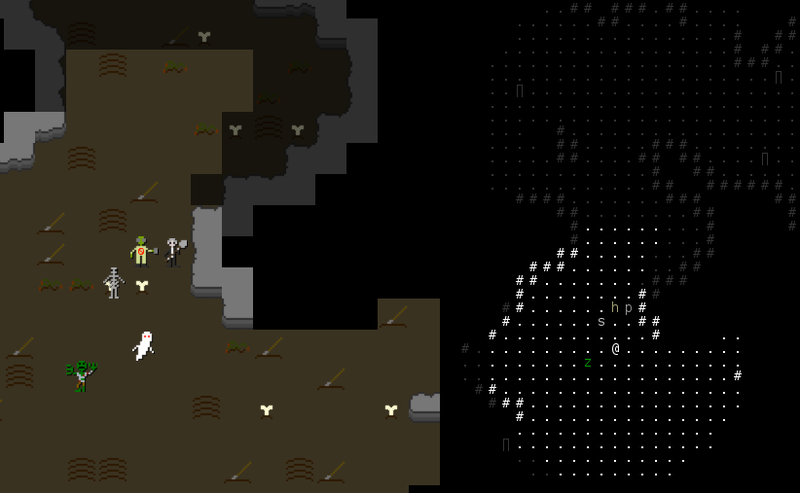 Features both graphical and ASCII modes. The in-game Monsterpedia tracks stats on the creatures you've possessed.